Posted in Misc and tagged Bike Lane, Dublin, Griffith Ave at 3:39 pm on December 1, 2017 by Bodger. 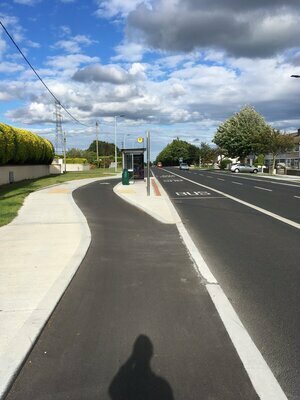 Good quality bicycle bus stop bypass in Tallaght. 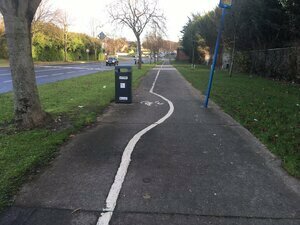 Posted in Misc and tagged Bike Lane, bus-stop, Tallaght at 1:18 pm on August 8, 2017 by Broadsheet. Snapped this delightful scene approaching Dublin’s Leeson St Bridge yesterday. 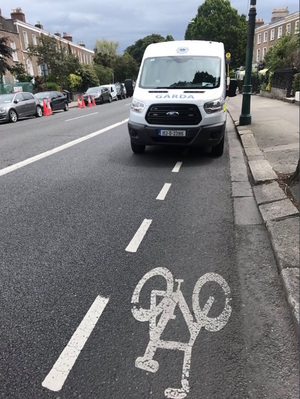 Posted in Misc and tagged Bike Lane, Garda at 9:01 am on July 5, 2017 by Broadsheet. Is it time for another one of these? Posted in Misc and tagged Bike Lane at 3:32 pm on April 15, 2016 by Broadsheet. The Phoenix Park, Dublin, last night. 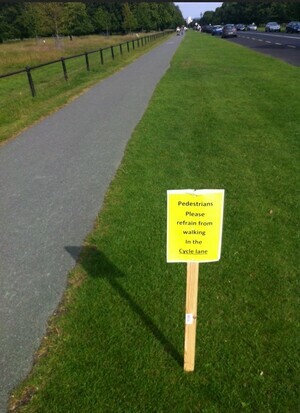 Saw an unhinged a concerned woman, putting these up in Phoenix Park last night . 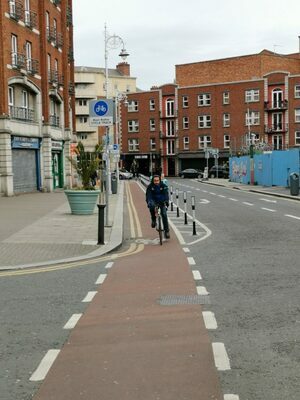 There’s no law or bye-law about walking in the cycle lanes…anyone? 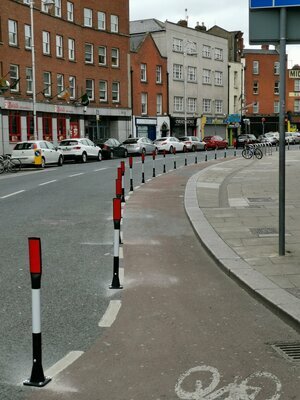 Posted in Misc and tagged Bike Lane, Cycle Path at 9:11 am on July 2, 2013 by Aaron McAllorum.